the bark, mossy as a sloth. these pines like steady rain. to the sun when it grows up. A writer’s language and cadence can get stuck in your brain. It’s a pleasant thing, and admirable. Nick Courtright’s poems are definitely earworms (brainworms?). After hearing him read at Paging Columbus this past summer, I couldn’t get certain lines out of my head (the final line of “What I Have to Say to You” is a good example, even out of context: “day, night, awake, asleep, dead, alive, alive, alive, alive.”). 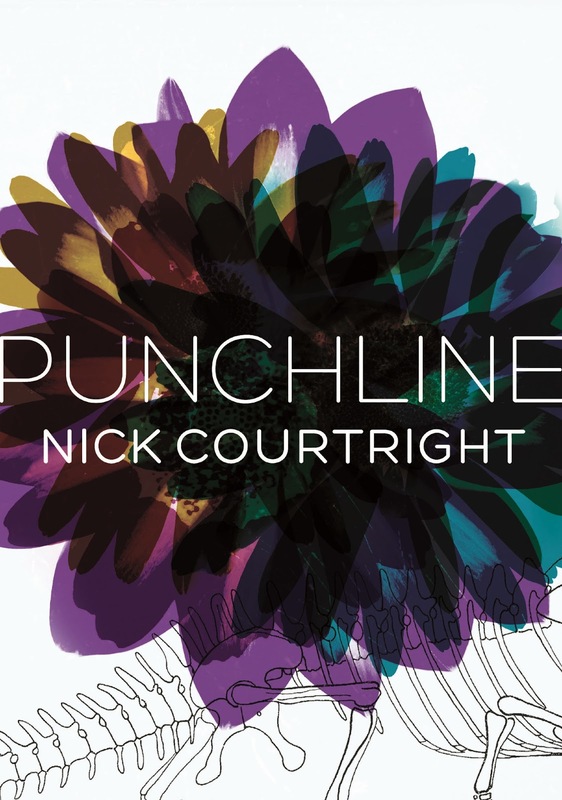 The poems in his book, Punchline, are memorable and brave in that they explore Big Ideas (philosophy, science, God, the afterlife) in diction that is precise and vivid. But what makes me recommend this book so heartily is Courtright’s voice, which resonates with sincerity, humor, empathy, and curiosity. Q: In so many of your poems in Punchline (such as “Regret”), you address a being/presence that cannot answer you. Your book is full of ghosts. Maybe this is what all poetry does--intimately addresses a reader who can’t talk back. I’m curious--do you envision a reader when you write? Who do you feel you are speaking to, and why? How does communication work in your poems? A: This is a great and frustrating question, mostly because it makes me reflect on the fact that all writers are shouting “Hello!” into the void, and only sometimes does an echo return. We are forced by the nature of the medium—the phone call made to an answering machine who no one listens to, or, a bit better, listens to but does not return the call—to send out our ideas and hope someone hears, and I suppose the poems in which I address someone, whether it be a “you” or the “ghost” of the poem “Regret,” it is tacit recognition of this. Or maybe it’s a manifestation of the plight of all existential and philosophical inquiry, that wanting to know the truth even though nothing ever comes down to say what the meaning of life is, or where we are from, or what will happen to us in the end. That aloneness is always there in poetry, and in our lives, but it’s our job to be happy with it, because there is no other choice. on each end to shake the sand free. a red flush of brake lights in rain. will borrow you if you keep looking. into the air as it retreats. are the stars above our homes. it is good, no one is here to scream. 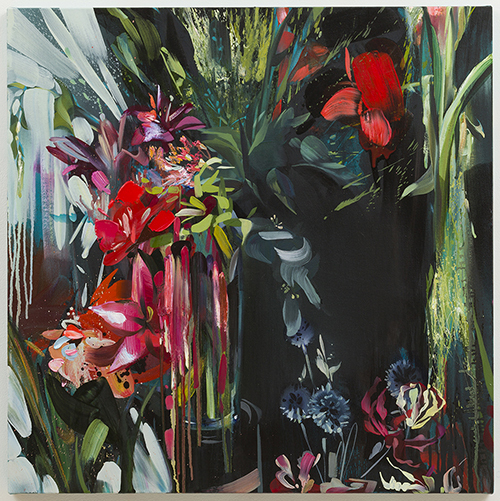 "It's a simple act to look and paint. There is no cutting edge in sight. It's what flickers between the edges, burning and warming us both, that the practice has managed to gather." 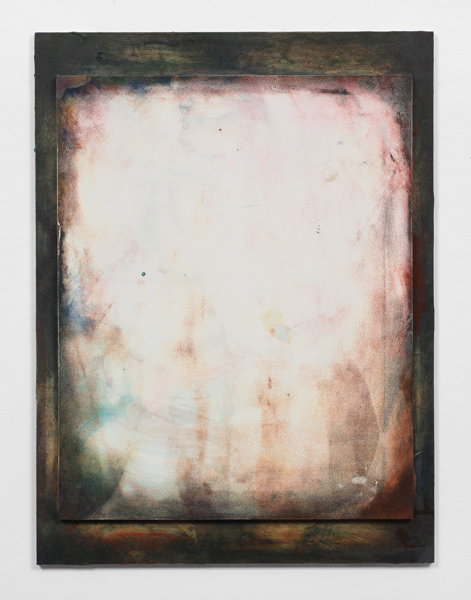 This article, “The Poetics of Painting: Part Four” on Image Journal’s blog, by Daniel Siedell. Siedell discusses how painters find their voices by reinterpreting tradition (this view of inspiration/influence really resonates with me). And you? What have you been reading this week? Hope you have an inspiring weekend! The linked image was featured in this wonderful article by the artist, Rebecca Campbell, at Huffington Post. your darkness seeping into the ocean’s fields. these glaciers will outlast your love. and of you will disperse. Away from Home Away from Home. if it’s visible, glistening above water. This amazing comic, “When your house is burning down, you should brush your teeth,” from The Oatmeal. It’s so funny and also touching. This piece has a beautiful mix of childlike silliness and vulnerability. I’ve reread it many times already this week. “For Climbers, Risks Now Shift with Every Step,” by Kirk Johnson in The New York Times (I can’t stop writing about mountains). My obsession seems strange because I'm terrified of heights. It's not that I want to climb them....I just want to keep thinking about them. Another short and hauntingly lovely comic, The Great, from Alyssa Berg. I love her use of textures and sparseness. What are you reading early in the new year, friends? Woman is 53, looks 35. What is her other secret. cookie, you are falling apart, but so am I. Image courtesy of University of Akron Press. In the poems in Jason Bredle’s Carnival, I hear strains of Louis CK, Christopher Pike (see “The Death March” below), Peewee Herman, Ryan Seacrest, and Bill Murray. I do mean that in a good, absurd, dizzying way. Reading this book, I was struck by the unwavering voice that carried the poems. There is no other way these poems could be, I kept thinking. In their Wes Anderson-esque tone, Bredle’s poems do everything in their power to convince you that the scenes they are presenting are completely normal or random; it’s as if a local news anchor is calmly reporting on chaotic events (including werewolves, superheroes, amusements parks, snuggly cats, and raccoons). It’s not the narrator that’s unreliable in Bredle’s poems, but the weird world. NOTE: After the interview below, be sure to read “The Promise,” and “The Death March,” which both appear with the permission of the author. Q: The poems in Carnival possess a fascinating tone--they are funny and absurd, but they are also tinged with darkness, sadness, or danger. I also noticed the impeccable timing in your poems. I'm curious to know--in your opinion, what is the relationship between humor and poetry? Is there any connection between poems and jokes? How do tone and voice work for you in your writing? A: In my case, I fell in love with comedic writing at a young age, and it’s been central to my livelihood ever since, although my real life joke writing experience is limited to two sessions I took at Second City before deciding I was kind of being scammed and quitting. I’m probably more of a student of humor and popular culture than most poets, though. For me, central to writing both jokes and poetry is the idea of manipulating words to create some type of maximum effect. In humor, the effect is laughter, but in poetry, it can be anything, which is why I prefer poetry, although being humorous in a poem upsets the sanctimony of poetry for many readers in my experience, which is unfortunate. It’s somewhat of a curse in terms of trying to get published, too, even though I don’t consider myself funny, or my poems funny for that matter. I mean, there are aspects to what I write that I enjoy in that way, but what’s more important to me is that the reader experience some kind of effect that makes him or her feel something. Poetry allows me to manipulate sentences for maximum effect of whatever effect I want to create – laughter sometimes, but also serious considerations of the self, relationships with others, anxieties about life, confusion, and sometimes all at the same time. To achieve this, word choice, word order and word conservation are paramount to both humor and poetry. There was a recent profile of Jerry Seinfeld in The New York Times Magazine which offers a compelling argument for the similarities between the two. The success of a line can be dependent on one or two words, or the particular way a sentence is phrased, more so than the actual idea behind the joke. You can have a great idea, but if you don’t craft it properly, it’s going to fail, regardless if it’s a poem or a joke.